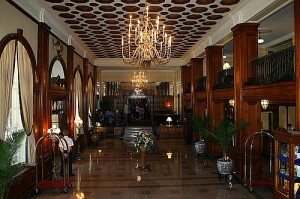 Inside the Lord Nelson Hotel. Halifax has the best range of places to stay of anywhere in Nova Scotia. Whether you’re on a romantic getaway or a tight budget, you’ll find something to suit. There are also hotels near the airport but don’t forget the airport is 35km from the city centre so don’t book these for sightseeing!